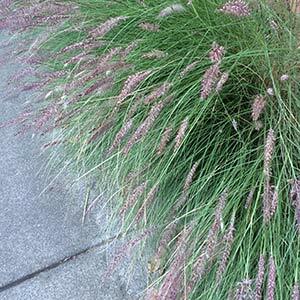 Grasses and Ornamental Grasses, are available in many varieties from Wholesale suppliers. Widely used in the landscaping industry grasses and ornamental grasses include a large number species and cultivars suited to different climates and applications, available in Australia as Tube Stock through to advanced clumps for feature planting. Used widely in commercial landscaping Ornamental Grasses act not only as feature plants but also as ground cover plants for large areas. Wholesale growers produce a range of grasses in different sizes for different applications. Popular with councils and developers across Australia for roadside plantings, streetscapes as well as around commercial buildings. The low maintenance varieties that can provide interest year round, good foliage for most of the year and with added attraction of ornamental flower heads in autumn that in many cases last through winter. Many ornamental grasses require no pruning or cutting back, others can be cut back hard by mechanical means in early spring before new growth begins. Ensure that seedlings and young ornamental grasses have been properly hardened off before planting. For larger quantities place orders 12 months in advance to ensure supply. Once ornamental grasses have been removed from growing trays they need to planted and watered immediately..